When it comes to decorating my home, I can't get enough. When we first got married, I went on a decor overload. I thought DH was going to kill me. Now, 5 years later, I still get excited about getting a new decorative piece for the home, although I've scaled down my purchases quite a bit. 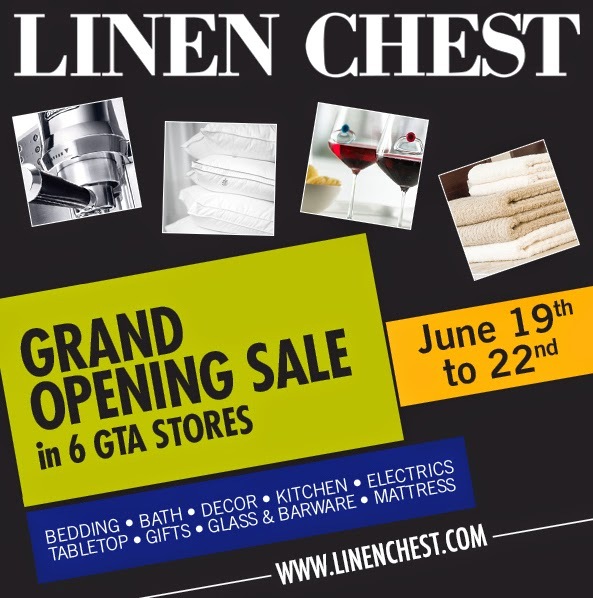 Luckily for me, and everyone else who lives in the GTA, Linen Chest is celebrating its Grand Opening this weekend with a MASSIVE SALE. It starts today and runs through Sunday in all GTA stores and online. You can pick up some great products for the home: kitchenware, bedding, bath, decor, furniture, even appliances at great discount prices. It's a perfect time to refresh your home for the summer season! I did some online browsing and was amazed at not only the number of items you can get at Linen Chest, but the awesome prices too. I love this bedding set. The light-weight quilt is perfect for warm nights, and I really like the neutral tone-on-tone with the beige and pale grey. 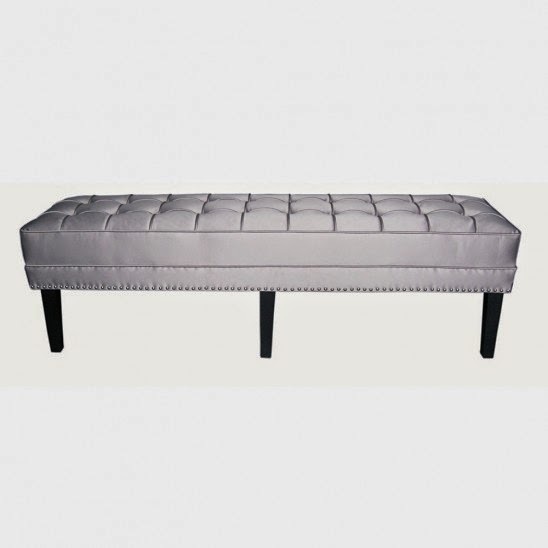 And what about adding a bench to the foot of your bed? I've always wanted to do that, but have never gotten around to it. I think it's very designer chic! As soon as I saw this reclaimed wood bookcase, I loved it. It's a great showcase piece to display unique trinkets and items and doesn't sit too high on the wall. 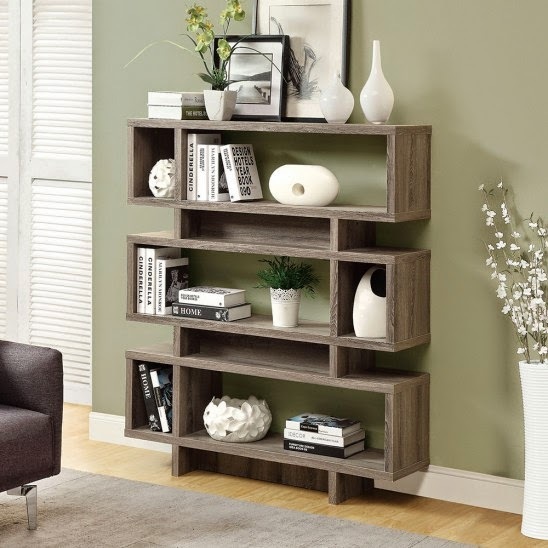 Best of all, it would work in a family room or great room without looking too office-like. Towels. After 5 years, our towels need some some lovin.....errr...make that replacin'. 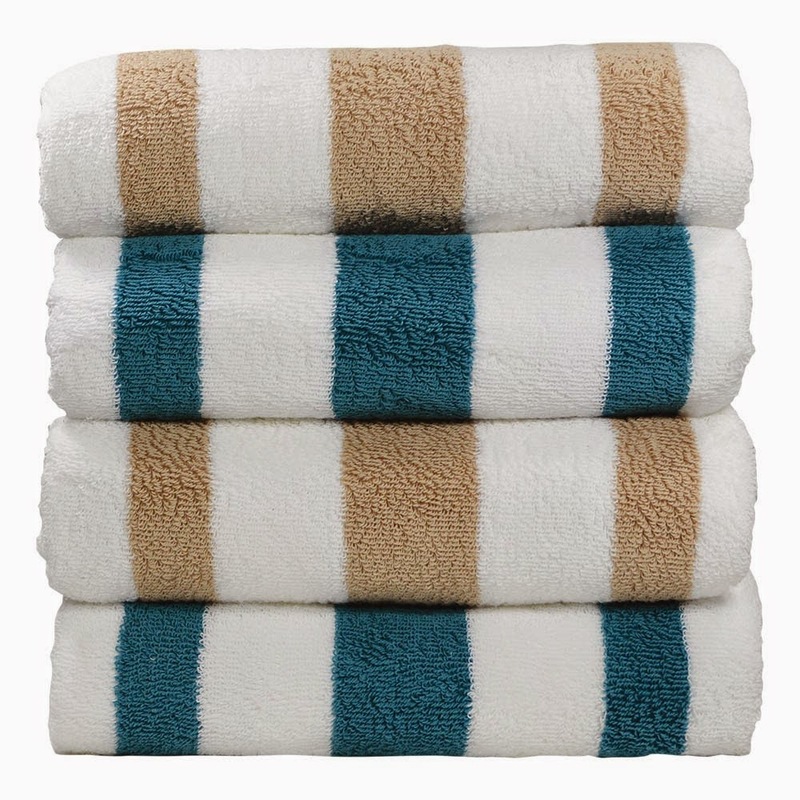 These cabana towels are nice for the home, the beach, the pool. Classic colours and patterns that work for everyone. In honour of Linen Chest's Grand Opening, Simply Suppa readers can win a $50 gift card to the store! Enter the Rafflecopter below, but don't forget to follow Linen Chest on Instagram and tag the above ad with the #LinenChestGTA to be officially entered. Contest closes Sunday, June 22.